Free Admission. Artists in attendance on the weekends. 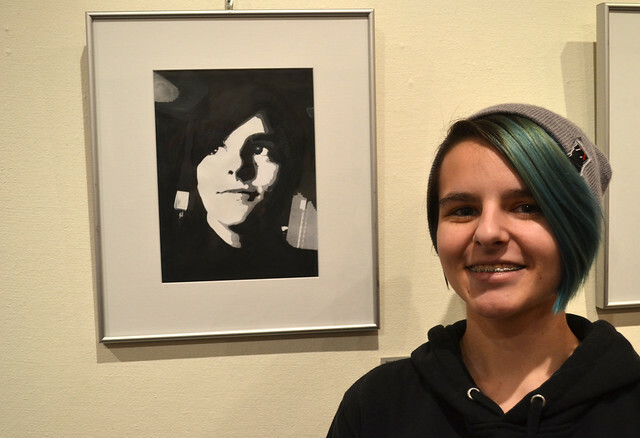 The exhibition is a showcase of Purpose Secondary student artwork involving various subject matter and media. 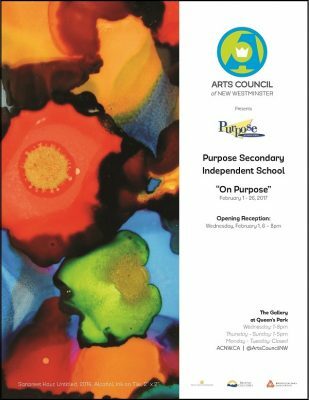 Purpose Secondary School is an independent school, which exists to serve those students who, for a variety of reasons, choose to continue their education in a school that offers smaller classes and curriculum tailored to the learning styles of the students. Students benefit from the fact that positive relationships between teachers and students and students and their peers are highly valued and are considered integral to establishing a productive learning environment. Students are encouraged and supported to pursue their learning interests while completing the curriculum required for graduation. The focus is always achieving success in the classroom and in extracurricular activities.